A round of these Pumpkin Pie Martini cocktails and some spicy snacks are all you need for a perfect fall happy hour. Pumpkin liqueur gives this martini its festive fall flavor. 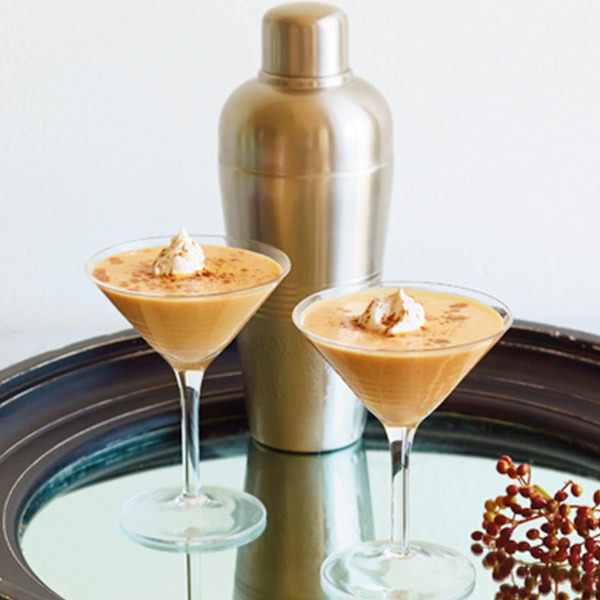 A cinnamon stick and a sprinkle of nutmeg provide the finishing touches to this yummy Pumpkin Pie Martini. Pour cream liqueur and vodka into a shaker of ice and shake well. Add the pumpkin liqueur. Shake again. Strain into a chilled martini glass. Then top with a teaspoon of whipped cream. Add a cinnamon stick and a sprinkle of nutmeg for garnish.